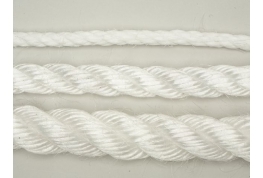 A 3 strand polypropylene rope in white. A tough and inexpensive rope suitable for a variety of uses. 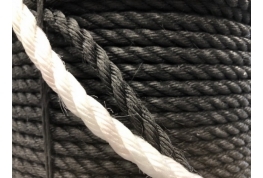 3 strand staple Polypropylene Rope. Made from polypropylene fibres, where the raw material is combed an drawn then spun into yarn. This produces a rope with some similar qualities to a natural fibre rope. A tough, low cost line with good all round qualities. Suitable for a variety of uses. Available in white ( black in some sizes), in diameters from 6mm to 24mm. 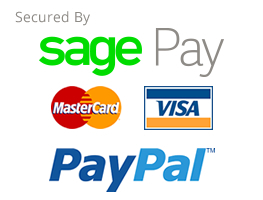 Available by the metre or in 220 metre coils.